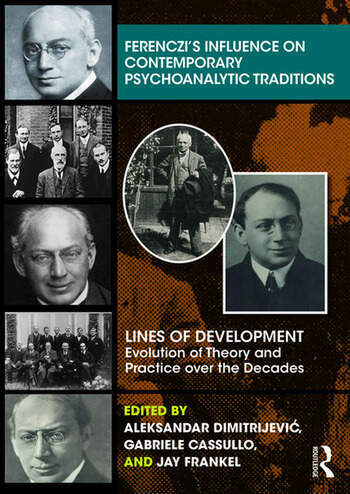 This collection covers all the topics relevant for understanding the importance of Sándor Ferenczi and his influence on contemporary psychoanalysis. Pre-eminent Ferenczi scholars were solicited to contribute succint reviews of their fields of expertise. Aleksandar Dimitrijevic, PhD, is interim professor of psychoanalysis and clinical psychology at the International Psychoanalytic University, Berlin, Germany. Jay Frankel is an Adjunct Clinical Associate Professor and Clinical Consultant in the New York University Postdoctoral Program in Psychotherapy and Psychoanalysis; Faculty at the Institute for Psychoanalytic Training and Research, and at the Trauma Studies Program at the Manhattan Institute for Psychoanalysis, both in New York.